Works with well known companies and pays out rewards in cash. Opinions from people like you are always in demand. New Vista Live is a vibrant and thriving company that offers the general public a chance to earn an extra income online just through filling in surveys. The surveys are required by large businesses as market research and your opinions and answers will help them firms collate the evidence and create new products, add to existing products and enhance services, so not only can you bring in some more money per month but you are also helping the retail industry provide better products and services for the whole of the UK and the world even. New Vista Live has excellent relationships with hundreds of large companies that are all looking for surveys to be completed, so don’t think that there won’t be enough. 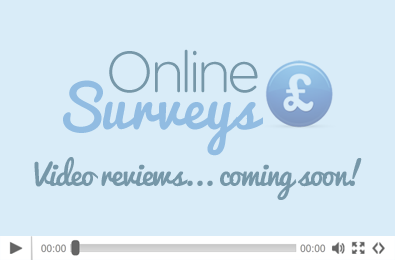 The more surveys you complete, the more money you can make and all it takes is around 20-40 minutes of your time. If you just want to bolster your income then you could fill out a handful of surveys per day, or if you are out of work or want to work full-time from home, then you could fill out as many surveys are possible to write your own pay cheques. All that is required is that you are over 16 years old and want to earn an extra £50 per month. That’s not all, there are two £250 prizes each month that every registered member that completes surveys is eligible to win. The prize draw is held every second Monday and is paid one month after the date of the draw. With more and more people joining New Vista Live everyday and completing surveys and more companies are being added to the extensive list, there are an abundance of online surveys to take giving you the best chance of earning an extra income online without having to pay for the service or needing to spend much time at all on the surveys.